Come to Milk Bar for a hilarious night of fun. Along with dozens of challenging questions, laugh it up with hilarious stand up comedy in between each round. Prove to everyone that your an amazing detective slash genius. 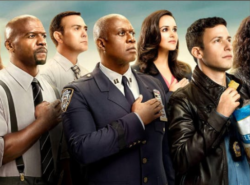 The 4 rounds will be centered around ALL seasons of Brooklyn Nine-Nine. So watch it all again just to be ready.